Philadelphia Cheesecake of The Year. First thing is first, do you love cheesecake? If the answer is yes to that question, that means you can appreciate the creaminess of a good slice. The Real Women of Kraft Philadelphia are searching for the Philadelphia Cheesecake of the Year and if you make a mean cheesecake, you can be in the running to win. The prize is $5, 000 and bragging rights of course! A simple and easy cheesecake recipe. Classic creaminess. With a sweet strawberry reduction. Set your oven to 325°F. After you've crushed your graham crackers, take the graham crumbs along with 2 TBSP of Stevia and unsalted butter (or margarine) and press them into the bottom of springform baking pan. Now, beat the PHILADELPHIA cream cheese until it is nice and fluffy, 1/4 cup of Stevia and vanilla with mixer until it is fully blended. Slowly add your eggs, 1 at a time and being sure to keep it mixing on low speed. Make sure you are scraping the sides and bottom evenly. Make sure to mix just enough until each egg is blended. Next, pour your mixture over your crust. Once your oven is heated, place your cheesecake inside and bake for 50 minutes or check the center to see if it is almost set. Before placing it in the fridge, make sure that you loosen cake from rim of pan. Let cool completely before you remove the rim. Now, place in the fridge and refrigerate 4 1/2 hours or until set. Add 2 cups of strawberries, (I pitted them and kept them whole), 2 cups of organic brown sugar, 1/2 cup of all-purpose flour, 1 TSP of cinnamon into the pot. Use medium heat and mix. Fold your berries in slowly. Last, add 1 TSP of lemon juice and vanilla. Lower heat, simmer and stir often but, slowly. Take a masher and mash your strawberries, leave as chunky or as smooth as you'd like. Cool or put into a cold bath. 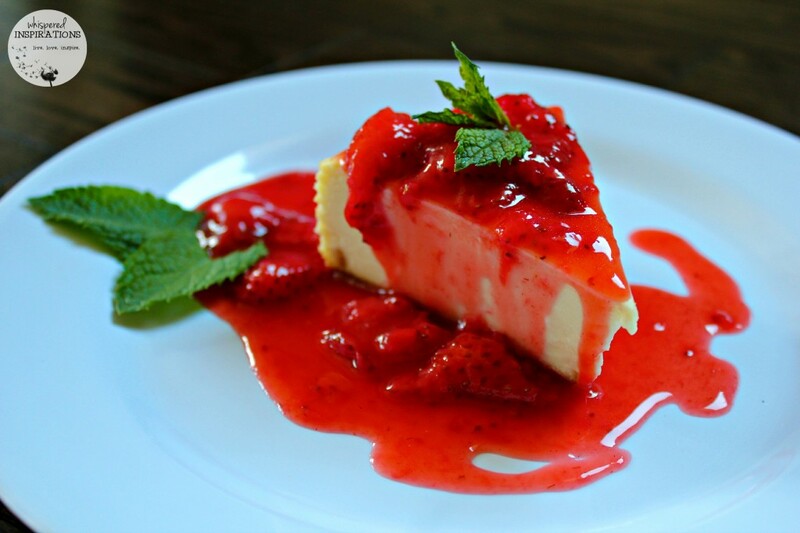 Top your classic cheesecake with strawberries and garnish with mint---enjoy! There’s nothing like the classic cheesecake topped with your favorite fruit sauce. In this case, strawberries. 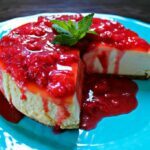 What I love about cheesecake is that it is rich, creamy, sweet with a hint of acidity that really makes your taste buds rejoice. When it comes to cheesecake, I am a simple gal. I like the simplicity of a plain cheesecake topped with fruit and mint. But, sometimes, I truly enjoy having a sweet overload. I had this amazing chocolate and caramel cheesecake a few months ago and it totally blew my mind. It was creamy, crunchy and ooey-gooey thanks to the caramel. If you have a delicious cheesecake recipe, you can submit it to be judged by a panel of Kraft judges (based on select criteria) and to “top” it off, the first 250 eligible entrants receive a FREE brick of Philadelphia Cream Cheese. The contest runs until 6pm ET, Monday June 16, 2014. If your original and festive cheesecake recipe is chosen, you’ll win $5, 000 buckaroos and you’ll be flown round-trip to Toronto as a part of the 5 Finalists for the Cheesecake of the Year bake off at the Kraft Kitchens! If you happen to be chosen as the grand prize winner, by then it will be a 1 in 5 chance, you will get the title of 2014 Cheesecake of the Year and will be featured in a national print campaign. Well, THAT is amazing! All you have to do is submit your original, festive cheesecake recipe made with Philadelphia Brick Cream Cheese, a photo of your delicious and creamy finished cheesecake and ta-da! You are entered! Check out the Philly Canada website for full contest details, rules, and terms and conditions are available online for you to review. Will you be entering YOUR cheesecake? 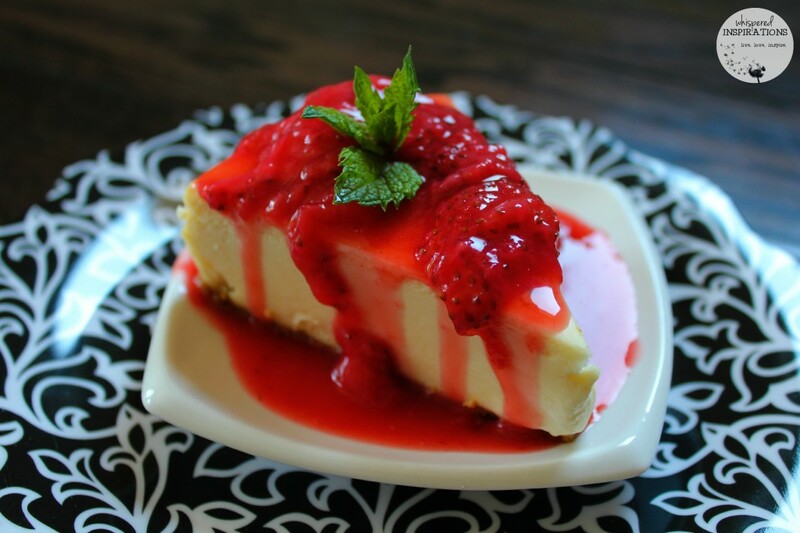 That cheese cake look sooo good, surely I will try this recipe, Thanks for sharing it. My pleasure, hope you like it! Cheesecake is so delicious, but I've never tried making it. I hope you have success with your entry! There are few things I like better than a strawberry cheesecake. This looks amazing! They are in season too! I'm an equal opportunity sweets eater but I do enjoy myself a good slice or two of cheesecake now and again! My favorite 'cake' of all time is cheese cake. I always ask for it on my birthday and holidays. I prefer homemade and have never used anything but Philadelphia cream cheese. I am never disappointed. You have to have Philly Cheese! Oh.My.Goodness!! That looks so good!I'm yet to master cheesecake so I'm going to give this one a shot! That looks delish!! I would love to try it out. Thanks and so easy to make! It is pretty yummy! Thanks. That looks so delicious! Thanks for sharing! 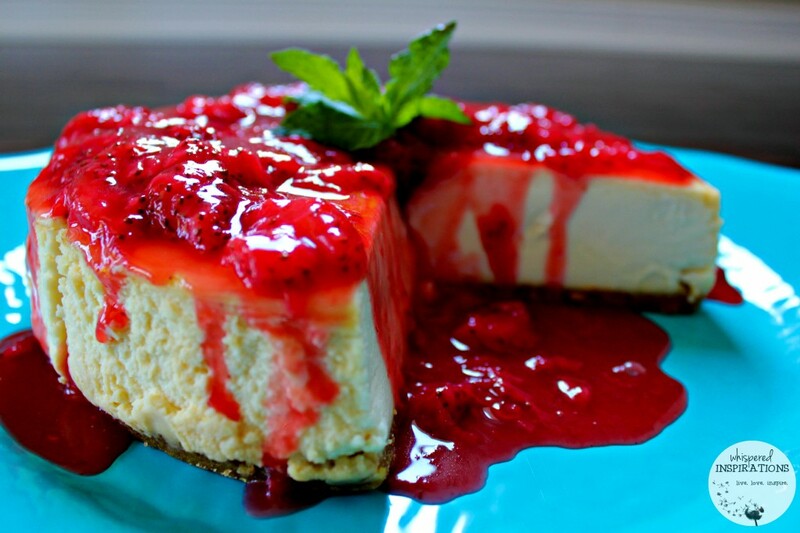 OMG that looks so good, I could go for a giant slice right now, I love cheesecake!! !